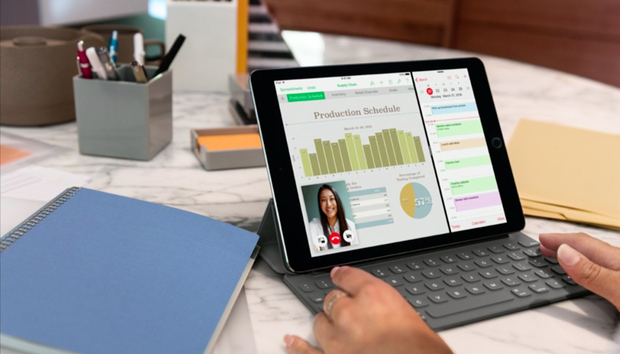 “So far, we haven’t seen any real impact from the iPad Pro on Windows 10 uptake with enterprises,” Gartner analyst Steve Kleynhans said. “I’d say generally, enterprises are moving very rapidly towards Windows 10, and nothing from Apple has slowed that down. I don’t think a smaller version of the same device is going to really change that." “Rather than buying a new PC, they went and they bought a tablet, and whether it’s an Android tablet or an iPad or something else, chances are good these customers have bought something they’re using as an alternative to the PC,” Gillen said. "They still have that old PC for the times when you really need to have that functionality of a full screen, a keyboard and mouse dexterity, that sort of thing." One of the tenets of Microsoft’s strategy under Satya Nadella is that it's trying to make its products more broadly available, so it’s still making money from people who use Office 365 on the iPad Pro, along with applications powered by its Azure cloud services. And there's also another outstanding question: how many people actually want a new iPad these days? Apple’s financial results over the past year have shown continually shrinking iPad sales. The company still sells millions of tablets every quarter, but sales aren’t as good as they used to be.